In this section “Marga hears too much” Marga van Hintum will blog about her experiences with Hyperacusis regularly. They laugh at me, those little tiny mini plants. From lettuce, tomatoes, peppers, paprika and pods. They laugh at me. They are shinning hugely there, on the windowsill. Outside it is still far too cold for my little ones. Too cold and too windy these days. They would blow away like that. Too bad, right? For now they are warm, dry and as sunny as possible. I look after them every day, they can’t grow fast enough for me. I address them lovingly. And every now and then they get some water. Lukewarm water, because I don’t want to scare those little ones! They look satisfied. And so it should be. When the weather is better, and especially important, when it doesn’t freeze anymore, the little ones can go outside. Playing outside. Going into puberty. It’s nice to grow much bigger. And bear fruit. So that we can enjoy them as we nibble! A little cruel thought it is. But well, they have had a good life, very good. Much better and much more loving is hardly possible. A house with a garden. I’ve never felt like it before. Never had the time too. I have always lived in an apartment. But a few years ago we were looking for a bigger house. And coincidentally this house had a large ornamental garden, at least for metropolitan concepts. Until then I had never done some gardening. And had neither green genes nor green fingers. But from one day to the next I had to prune, dig, plant and weed. The house was beautiful, we liked it very much. That garden, we took it by the way. Part of the deal. Something went dead the first few years, unfortunately. But by doing one learns. And then the vegetable garden came back into fashion! We started with a modest corner with some lettuce, rocket and chives. It tasted like more. And so over the years the vegetable garden secretly gained a little more ground every year. And by doing I learned. There were tomatoes, oh so delicious. And pods, also so delicious, when it comes fresh from their own soil! I got more and more fun in the gardening. The sweet peppers and paprikas turned out to do great in a hot summer. The cucumber plant, given free of charge by Albert Heijn’s (dutch Supermarket – RI) vegetable garden campaign, also benefited enormously from the heat last year. Since I have hyperacusis*, I garden a lot indoors. It seems like a contradiction, but it is possible, inside. And outside, I can do that especially on Sunday morning. I wrote about it before. During the week it is far too noisy for us. Especially from city traffic. All day long, unfortunately. But on Sunday morning, then it is quiet. And then I hope, that the birds also sleep in. And as long as the birds relax elsewhere, I can do it in our vegetable garden. In early spring I already started making a plan. What am I going to sow, when and where will it be. Because a crop can not always be in the same place; then it does not grow well. And then, from February, the Great Sowing begins. Indoors, on the window sill. And there they are now, nice and warm. I cherish them, the babies. I give them a good portion of love, my little plants. And I secretly look forward to the harvest. Tasty! Hyperacusis occurs in many forms. For me, especially higher frequencies are very annoying and hurt my head. I also have tinnitus. Concentration is more difficult and focusing on a sound source is more difficult. Dear readers, as you may probably already have noticed, I was “off line” for a few weeks. The reason for this was a visit to the hospital and subsequent rest. For about six years ago, I have been diagnosed with arthrosis in the hips. Last year, the pain in the left hip became more severe. During a visit to the hip surgeon earlier this year, it became clear that the left hip was broken, and a new hip became necessary. Since I wanted to get this behind me as soon as possible, the corresponding operation was scheduled for the end of February. Of course I prepared everything as well as possible in advance and also thought about how I could best approach the operation and hospital stay as a hearing impaired person and hearing aid user. During the preliminary examination I clearly mentioned that I wanted to wear my hearing aids until the last moment, and that I definitely needed them again when I woke up. A tip from a good friend of mine I put into practice and worked wonderfully. I had a small box with my name and date of birth on it, in which the hearing aids could be stored, during the operation and overnight. As hoped, the hearing aids were taken off when the anaesthetic was applied and I had the hearing aids in my ears again when I woke up. The first night after the surgery I had a lot of pain and I was sick a lot, so I kept my hearing aids on at night so I could communicate more easily if I needed help. Then I took off my hearing aids at night and put them back on when I needed them. And I have to say: there were no communication problems at all! Only because of the anaesthesia I was a little less concentrated at the beginning, and I had to try a little harder to listen, but to my great joy everything worked out wonderfully! No one in hospital made a problem of my hearing impairment at all and also all other praise for the hospital and its wonderful care! Tomorrow the operation has been exactly 3 weeks ago and if I can analyse it now, then I am extremely satisfied! My recovery is very good and fast: on the 4th day after the operation I was already allowed to go home and today I can walk quite well in the apartment without crutches and outside with crutches I can go further and better on daily basis. Also my worries that the anaesthesia could have an effect on my already bad hearing, fortunately did not come true. And since I didn’t need antibiotics either, which could also have a harmful effect on my hearing, my hearing has not deteriorated to my great relief. Next week I start with physiotherapy and in about 2 months I hope to be able to move again painlessly and well! Until then I will report again regularly, although a little less than accustomed, because I am not allowed to sit with my legs on a chair for so long. For those readers who may be wondering how the testing of the new hearing aids is progressing, I have good news today: the decision has been made! Since, after intensive testing at the beginning of January, it was still not quite clear to me which of the two tested hearing aids was really the best for me, I decided to test a third hearing aid. Same brand and also the same series, but in functionality somewhere between the two other hearing aids. 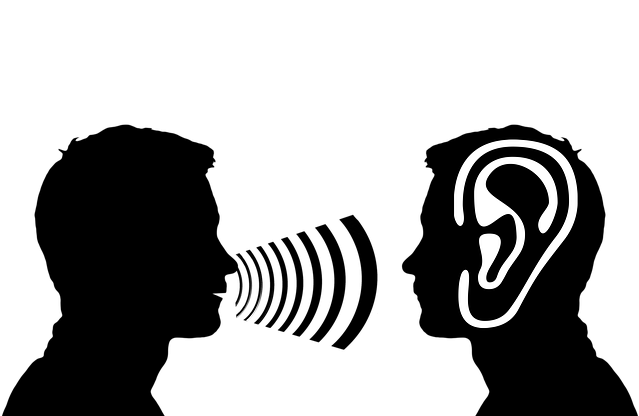 I was able to test this new hearing aids immediately, when my husband and I had a drink and something to eat with a few friends in the pub, I actually had trouble understanding the conversations, although it was not particularly loud and full in the pub. A week later, under similar conditions, I tested the first hearing aids again for comparison. This time it was even louder and fuller in the pub. It soon became clear to me, however, that I could understand my husband relatively well and even understood threads of conversation from the surrounding area. The difference between the two hearing aids seemed even clearer than when testing the second hearing aid. This was probably the clearest indication that the first hearing aids were the best fit for me. And that was what made my decision final. This means that my test phase has not only been successfully completed, but that the new hearing aids also have a great added value for me. I am well aware that not every hearing aid fitting is so successful. That’s why I appreciate all the more what the new hearing aids can offer me. With the accessories that I also tested, only one, a TV adapter, was successful. A so-called streamer for the landline telephone and PC (Skype), among other things, did not work as hoped. Actually, I needed the device mainly for telephoning with the landline telephone. Unfortunately, the Bluetooth protocol of the device did not match the Bluetooth protocol of our landline telephone. In short: our landline telephone was too old. But fortunately we were able to solve this problem. We bought a landline telephone that was not too expensive and that was compatible with the correct Bluetooth protocol, and now I can even connect my RogerPen to it. In this way I can telephone again over Bluetooth with the landline telephone and then can hear the voice of my interlocutor (mostly my mother) directly in my hearing aids, which makes telephone for me less strenuous and also highly improves intelligibility. My husband and the neighbours will also be happy because I no longer have to use the LOUD telephone speakers. So, end good, all good. I am happy, my environment is happy and even my husband is happy. Only our bank account is not happy, but even there we will find a solution! I have written before about adjustments in and around the house. Adjustments that make life with hyperacusis* more pleasant. No, more pleasant is not the right word. It’s bearable actually, with all the annoying and painful sound stimuli that came into my ears every day. That was not liveable. I had a very depressive period of it, in the beginning. I was referred to, and enrolled for therapy in a large academic hospital. I could only go there two months later. So I had to be patient for a while. Then it would take two months! In that initial period I was afraid. Afraid of the unknown. Angry, on the tinnitus and hyperacusis. That that happened to me ! And sad. If it didn’t improve, it would turn my whole life upside down. Especially my work as a musician. Impatient, to start therapy. Impatient, to know everything, really everything about the t and h. Yes, I often cut them short; I have learned that on internet forums. In that initial period I acquired a great deal of knowledge. The internet is a huge source in the field of t and h. Reliable often, but sometimes really not to be trusted. The terrible personal stories, for example. From someone who committed suicide. I had a very bad night. The organisations that provide more information. An enormous flood of objective information. And the forums. Lots of reading food. Lots of hours of reading and re-reading. Because my ability to concentrate, that was, and still is not optimal. I took notes, so I didn’t have to search afterwards. And the success stories of alternative therapies. Those cost tons of money. Their effectiveness has not yet been demonstrated. I have become allergic to it. But being referred by an ENT specialist to a university hospital, I trusted that ! And I had to wait a long time for it. I was afraid that my symptoms would only increase during that waiting period. Maybe that was the case? Anyway, finally I could start. I will tell more about the therapy another time. The summary? It did not have the desired effect with me. For the t yes, for the h almost not. I can now handle the tinnitus well. However, my form of hyperacusis has proven to be a persistent one. It was not going to improve. A very small bit, okay, it did. But for the rest I will have to make the best of it myself. And I did. And so we got all the variants soundless plastic in the house. Plates and cutlery. Silicone tile covers. I wrote about it before. And triple glazing in the windows. Well, we live well, so you do what you have to do … A rug on the glass table. The glasses in the cupboard far apart and next to each other, instead of stacked. Sweeping instead of vacuuming. Sow plants indoors instead of outdoors. Home delivery instead of eating in restaurants. The list is long. A person becomes enormously resourceful. For example, the keys on the keyring all got a bodywarmer; a thick layer of tape around the body of each key. Then they can’t touch each other, those noisemongers. Dear hearing aid, when we first met, it wasn’t love at first sight. You were small and alone, but I didn’t really want you. Our cooperation was not from the heart in the beginning. I did carried you, and you did your best to let me hear better. But somehow I also felt blocked by you. For example, when I had to run to the train or otherwise hurry, it was as if you wanted to stop me. Meanwhile I know that this was my own resistance against you, I had not yet accepted you in my life. Later, you became even smaller in the meantime, you got company from the hearing aid in the other ear. Even then our relationship wasn’t quite cordial, although I already realized then that I couldn’t go on without you. I would rather call it a hate-love relationship now. When my hearing gradually decreased even more, you grew. You were no longer in my ear, but behind it and, to be honest, I found you ugly. Not fair, I know you had to work much harder for me and ultimately gave your best. Nevertheless, I began to appreciate you a little more, because I was now sure that I could no longer function properly without you. When little by little I saw what additional devices you could connect to, it became clear to me: I need you. With you life is much better and easier. In this process, you were the more sensible one: you let everything go over you and never protested. And you have always done what you could do best: support me as much as possible. Yes, yes, you think maybe I didn’t notice your great loyalty and reliability and I din’t care. But you have it wrong, dear hearing aid! You will never become my great love, but hate for you will certainly no longer exist and I have learned to accept you. You are now part of my life. From the moment I wake up and activate you until the moment I put you to rest when I go to sleep, you work for me and you are my second ear. You are faithful, almost never let me down and I try to take care of you as best I can. That’s the deal we have. There will hardly be a better relationship between us, but I would like to tell you something: Thank you hearing aid that you exist and thank you for everything you do for me. I couldn’t live without you anymore and I hope we will be a couple for a long time. I’d like to wish all my readers a wunderful Christmas time and a happy New Year! More than 3 years ago I followed therapy for tinnitus and hyperacusis* at Erasmus MC in Rotterdam. An intensive therapy. Partly in a group, partly individually. To start with there was a course day in a group. We received a lot of information and got a folder full of advice and tips we went home with it. A tiring day, because of the group structure. And the course day was held in a room with climate control. Two factors, which are not particularly favourable for hyperacusians. In the months that followed I had a number of individual conversations. Your car goes to the garage every now and then, for the apk, the annual vehicle inspection. That’s a must, from the National Road Traffic Agency. Now, after 3 years, I thought it was time for an apk. So I approached the Tinnitus team, Audiology department of the ENT-poli. A mouth full. I was allowed to come for a follow-up appointment. And so my sweetheart and I went to the brand new part of Erasmus MC in Rotterdam. The clinics had just moved to that part of the city. Everything was brand new. From the parking garage we entered a huge hall. With a lot of incoming daylight. And with registration pillars. Where no human being is involved anymore. You are supposed to enter your ID card. And the computer recognises where you have to be, at what time and for what purpose. And with all that information neatly on a freshly printed piece of paper, you can then walk through. And walk on. It looks like Schiphol , the dutch Airport, but without a treadmill. Boy, what a distance. But we, with our trained legs, din’t have a hard time doing that! We admired the beautiful floor along the way, were amazed by the amount of daylight that enters and were sightseeing and so towards ENT-department. And in the ENT-Audiology department there is another registration column. Where again no one human being is needed anymore. That’s called the future! The computer takes over. It is cheaper than a staff member who wants to go on holiday, a thirteenth month and consultation with the manager. If the computer were the way to keep healthcare costs within acceptable limits. Alléz. But the manager will still manage. He or she cannot be replaced by a robot. And once the apk starts, it is evaluated separately, looked back, summarized, concluded and looked ahead. Science, especially with hyperacusis, still has a hard time. The approach of hyperacusis has in some respects changed a bit compared to that of tinnitus. But there is certainly no new view yet. There are, certainly with regard to hyperacusis, no really new developments yet. The therapy as it is currently given, will eventually also not be able to offer a guarantee. Not everyone is completely helped with it. But maybe, in the distant future? I have experienced the therapy as useful, especially for tinnitus. As for the hyperacusis, the therapy has not had much effect there, unfortunately. I certainly found it useful to look back. And to look ahead. A few hours later I could leave again. With an approved apk, for several years. I may, if I find it necessary, come back again. It wasn’t really necessary. The National Road Traffic Agency won’t tell you that ….